Thinking about doing a Triathlon but not sure you want to invest in a ton of gear right away? Save money by renting a wetsuit. 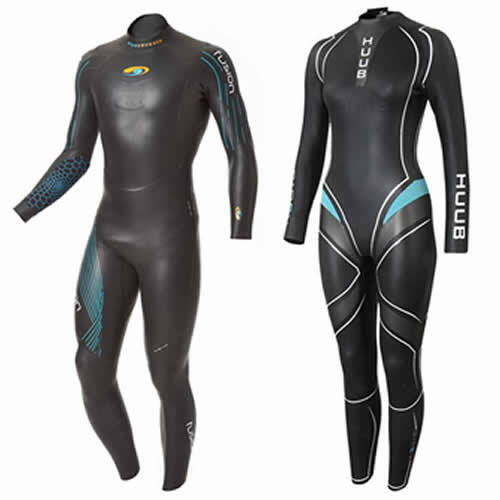 Wetsuits help keep you warm, reduce friction and improve buoyancy. This all translates into an easier, faster and more enjoyable swim. Our wetsuit rental period is Wednesday to Tuesday, giving you plenty of time to try out a suit or race in it. Reserve your wetsuit early! We often sell out for big race weekends. All rentals require payment in full at the time of the reservation. Due to the high cost of this equipment, we cannot afford to miss a rental opportunity. Therefore, the rental fee in NON-REFUNDABLE. What if you decide you love it? No problem! Make a purchase of a new suit from us within 60 days of your first rental, and we will apply your $50 Rental Fee to your new suit. (Maximum of two rental fees can be applied). 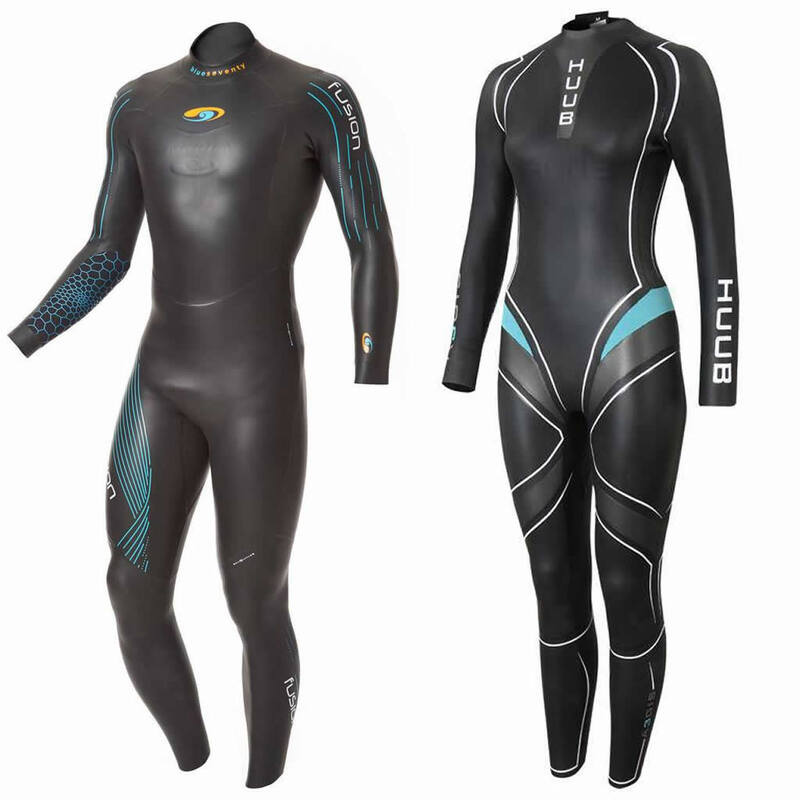 We have Men's and Women's wetsuits available in Full and Sleeveless from Blueseventy and Huub Designs. Now that you have a wetsuit, rent some race wheels too! While wetsuits can help make you faster during the swim, a set of Zipp wheels will do the same for your bike!